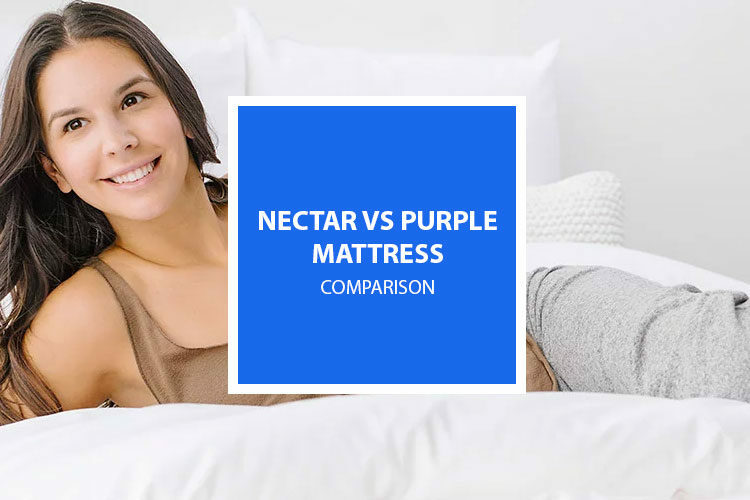 It’s easy to see how the Nectar mattress is different from the Purple mattress when looking at both beds and their construction. While the Nectar mattress is comprised of multiple foam layers, the Purple bed offers something completely different than other beds on the market, with its unique, polymer, grid style top layer. However, it’s where the beds are similar that makes deciding between the two trickier, since they both offer little to no motion transfer, a medium firm feel and cooling technology. They both have a durable, high density poly foam base and offer cushioning in all sleep positions while providing good spinal alignment. To put it simply, most customers will feel that the Purple mattress is slightly firmer than the Nectar bed, due to its upper polymer layer. It also sleeps slightly cooler because of the air channels in this layer and has a quicker response rate than the Nectar. This means that between the two, hot sleepers might prefer the Purple mattress and those that want a firmer bed, should pick the Purple. On the other hand, customers who want to sink in their bed a bit more and are looking for that memory foam feel should choose the Nectar mattress, due to its construction. The Purple mattress is also more expensive but likely more durable with a longer lifespan. Read on to find out more ways these mattresses differ so you can make an informed decision between the two. The Nectar mattress is a memory foam mattress, built with four different and unique layers. The base layer is comprised of a two pound, 6-inch-thick layer of high density foam. This layer both absorbs motion transfer and provides a durable and stable foundation layer for the upper layers of the mattress. Above this base layer is a 3-inch layer of adaptive “hi core” memory foam. This is the transition layer of the mattress, as it provides as a layer of stability and cushioning between the bottom base layer and the upper memory foam layers and also contributes to the rebound and bounce of the mattress. The third layer up is made of gel memory foam and works to provide even weight distribution, while relieving pressure and pain points. They use what Nectar calls their “just right”, semi-open, Lush Foam, which both absorbs and distributes heat and is great for recovering back to its original position. Yet another layer of memory foam sits on top of this, this time a quilted gel layer. The quilting provides not only loft to the overall feel of the mattress but promotes air circulation.All of this is wrapped in their custom milled, breathable, quilted cover, made of Tencel fabric, a natural material made of wood pulp and naturally bed bug resistant. As mentioned above, the Purple mattress features unique construction currently only seen in one other mattress that is much more expensive . It starts with two high density poly foam layers at its base, with one 4-inch layer of 2-pound foam at the bottom and a transition layer of 1.8-pound foam above this. These foam layers are CertiPUR-US certified and the company claims to have the lowest toxicity level in their foam compared to all memory foam competitors on the market. Together, the combined density of these two layers is comparable to other foam mattresses on the market and it provides a stable base for the bed as a whole, absorbing motion and promoting spinal alignment without sinkage. The top and final layer of the mattress is comprised of a 2-inch grid like layer of Hyper Elastic Polymer. This layer is made of food grade material and is mineral oil based and 100 percent nontoxic. This layer is what provides the cushioning for the bed in all positions, while providing a medium firm support and less of the sinking in feeling than a memory foam bed. These three layers are wrapped in a knit cover that is made of viscose, polyester, and polyester-Lycra. The Nectar mattress is about a 6 to a 6 ½ on a 10-point scale of firmness, with 10 being the hardest. This makes it a medium firm mattress and it offers spinal alignment and, while it has nice cushioning for pressure points, you won’t get that cushy level of sinking in that you get with plush memory foam beds. Because the upper layers of the Nectar mattress are thinner, you get just the right level of cushioning and support, but not the hugging feel of soft beds. This makes it a good choice for those who are looking for a memory foam bed but who like a firmer feel. This mattress provides a good level of support for the spine when sleeping on your back, stomach or side and this makes it a nice choice for two people that sleep in different positions. Purple’s construction is quite unique and this means it has a unique feel. The walls of the polymer grid in the top layer collapse to support your spine as you move, but return to their original position as soon as you change positions. Because of its unique construction, the Purple mattress is considered a firmer mattress and rates about a 6 to a 6 ½ on a 10-point firmness scale. But your experience with the Purple mattress will also depend on your body weight and people of different sizes may have different experiences with this bed. For example, most people of average weight find that it is a medium firm bed that is supportive but cushioning. It has a good level of bounce and responds well to pressure. But if you are a lighter customer, you may find that the polymer grid construction is just too hard for you, especially if you are not heavy enough to collapse the walls of the polymer grid. Heavier customers tend to like the Purple mattress for its durable and supportive feel with a good amount of resistance in the bottom layer and strength in the polymer upper layer. It provides a decent amount of pressure relief for bigger people, while still being able to support their weight. 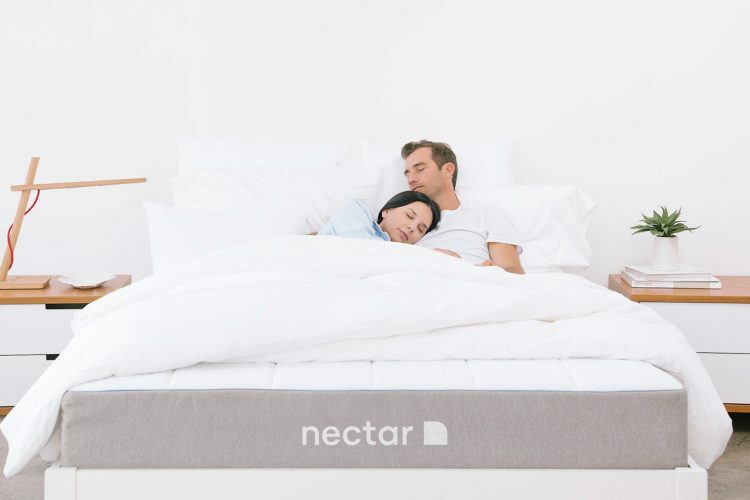 Unlike some memory foam mattresses, the Nectar bed is getting high praise for having little to no sag either in the middle of the bed, when two people are sleeping, or at the edge. This is due to the fact it has a thick, stable foundation layer and firmer upper layers. Because it is a firmer, all foam bed, it is also getting good feedback from customers regarding motion transfer and users who share the bed are reporting that it they have been able to sleep through the night because they aren’t woken up by their partner when they are shifting positions or getting in and out of the bed. The Nectar mattress is also protected by their “forever” warranty which guarantees a replacement mattress for any bed that develops permanent impressions that are deeper than 1 ½ inches. This covers the mattress for its entire lifetime so it shows that the company has confidence in its ability to develop any permanent sinkage. ​​​​​The Purple mattress is bouncier than a traditional mattress or one that is made of all memory foam upper layers, but it still maintains minimal motion transfer due to the polymer grid construction of its top layer. Because the grid only collapses under the weight of the individual sleeper, it doesn’t transfer to the other person and the bottom layers also work to absorb any shifting or movement. Between the two, the Nectar might offer a little bit more motion absorption, just because it has memory foam in its upper layers, which is known to be more motion absorbing. While most sleepers have found the Purple bed comfortable and supportive, a few have mentioned a bit of edge sag and poor edge support. Overwhelmingly though, people are satisfied with the level of stability for this bed. The Nectar mattress is a great option for those who sleep hot, as it has several cooling features built into the bed. To start, the Tencel cover is designed to wick sweat and be breathable. It is a natural material that is designed to stay fresh and be healthy. Beneath this, the two memory foam layers each have their own cooling features. The top memory foam layer is quilted, which lets air circulate better and they are both gel infused, made with specialized semi-open cells, which are meant to both absorb and distribute heat. The base layer also has specialized cooling technology built into its channels and Nectar claims they have the “densest and yet most breathable base layer of any mattress”. The Purple mattress is also known for being great at temperature regulation and their technology is hard to compete with. Because of the unique design of their polymer grid layer, air can flow easily through the pockets and channels of space in the mattress. The polymer material of the layer itself doesn’t retain heat the same way that some foam does and because it is a firmer bed, your body is elevated above the foam layers, so air can flow freely throughout. This is further helped by the cover, which is not only a thin material, it is made with a blend of polyester, viscose and Lycra, which, although not natural in origin, dries quickly and is breathable. Because of its highly adaptive, medium firm feel, the Nectar mattress is getting good feedback from people in all sleep positions, even heavier people. It is also getting great response from couples who sleep in different positions (i.e.-one back sleeper and one side sleeper) because it is firm enough to promote spinal alignment in any position, but has the memory foam to cushion shoulders and hips. The only people who might not love the medium firm feel of the Nectar mattress are smaller, lightweight people who usually prefer thicker memory foam layers. And, while the Nectar mattress is getting great response from users who are bigger or overweight, it does have more of a slower moving, memory foam feel than the Purple mattress, which is quickly responsive and offers firm pushback while still being cushioning. Average customers find the Purple mattress to be “just right” in terms of firmness level, in all sleeping positions and it is especially comfortable for back sleepers, because it offers firm support and cradles the body while providing pressure relief. Like the Nectar mattress, the Purple mattress rates as medium firm and so those who are lighter might find it too firm. Bigger people over 230 pounds are overwhelmingly satisfied with the Purple mattress in all sleeping positions, with stomach sleepers the least satisfied. And a few heavy customers have found that the Purple lacks the ability to support their weight and they “bottom out”. The Purple is thinner than some all foam mattresses, at just 9.5 inches height as opposed to Nectars 11 inches, so this is something to consider. However, most heavy customers are happy with the Purple and the sleep trial gives you the option to try it out to see if it works for you. Nectar offers what is, pretty much, an impossible sleep trial and warranty to match. Their sleep trial period is a shocking 365 days, giving you a full year to try the mattress and decide if you want to keep it. Even better, the company offers a no hassle refund if you decide it isn’t for you. There is no other mattress out there offering this length of sleep trial. Their warranty is also miles ahead of the rest since it is forever. That’s right, it’s a warranty that lasts for the entire life of the mattress or for as long as you choose to keep it and protects you against any defects of manufacturing for as long as you have the mattress. As mentioned above, the Nectar mattress also has a forever warranty against any permanent impressions in the bed that are deeper than 1 ½ inches, so you can be sure that if it ever sags or breaks down in any way, you are protected. Conversely, although the Purple mattress is a very durable mattress, with an expected long life, it has a limited 10-year warranty. This warranty is full of fine print and excludes any coverage if you use a different foundation or one deemed insufficient or if it has been in storage or is exposed to too much sunlight, the list goes on, so make sure you read this all thoroughly before purchasing. 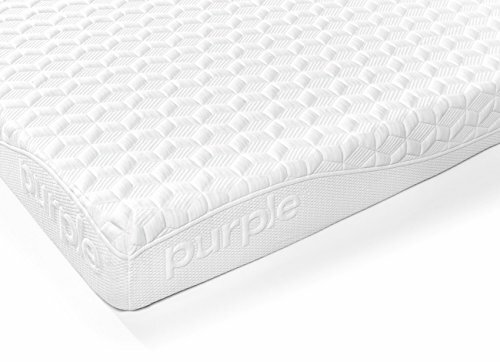 Purple offers a decent 100-night sleep trial period to try the mattress out before you commit, long term. They ask that you give your body time to adjust to a new style of mattress by trying it out for at least 30 nights. 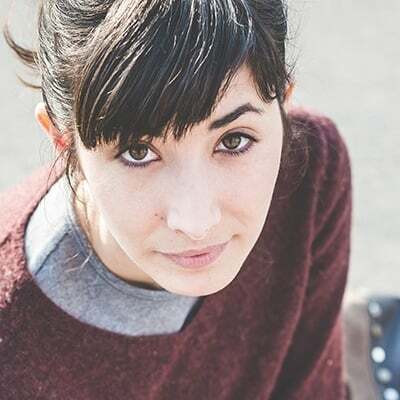 If the mattress isn’t for you after that time, they’ll donate it to a charity or find a company in your area to come pick it up and they’ll give you a full refund with no pick-up fees. You want a lifetime warranty and sleep trial period: As we’ve mentioned above, you’re not going to find a better warranty or sleep trial period than what the Nectar company offers. If you want a long time to try the bed for you commit to it long term (as in, a year), give Nectar a try. You have a sleep partner: Because of the firm support of Nectar’s base layer and the upper memory foam layers, the Nectar mattress absorbs motion and there is little to no movement when your partner turns in bed or gets in and out, making this a great option for light sleepers. You want a firm memory foam bed: Some memory foam beds have thick upper layers, meaning you sink in deep, with a plush, hugging feel. The Nectar mattress offers medium firm support while still giving you that cushioning feel of memory foam. If you sleep hot: While the Nectar has plenty of cooling features built into its bed and doesn’t sleep hot, it is hard to beat the technology of the upper polymer grid layer of the Purple mattress. Made to be temperature neutral, the grid allows air to circulate and it doesn’t retain any heat, making it a great option for sweaty sleepers. If you want to try out new and unique technology: There is only one other mattress on the market using similar polymer grid technology as Purple (Intellibed) and it is thousands of dollars. If you want to get your hands on an innovative and new mattress at a great price point, try the Purple. 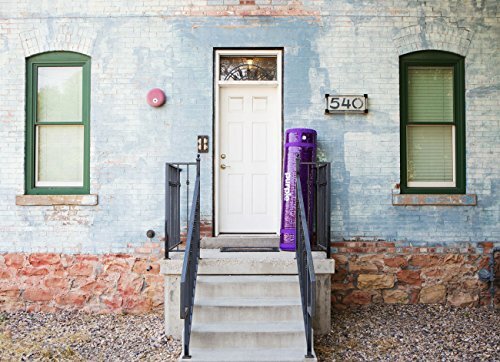 You want a company with a bit of history: While both companies are getting great feedback, the Purple mattress has been around a bit longer than Nectar and so there are more reviews to compare and check out before making your decision.